Sustainable energy procurement has become an ever-greater concern for enterprises, and the demand is driving job creation and economic growth. The Solar Foundation recently announced that in 2013, jobs in the United States solar energy industry increased by 19.9 percent in comparison with the year before. The sector now employs a total of 142,698 Americans. 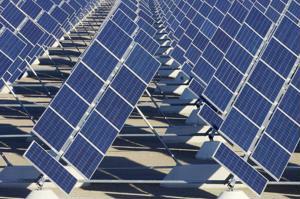 Compared to other industries, the growth of solar power has been remarkable. According to the Solar Foundation, the sector grew at 10 times the rate of overall, cross-industry employment, which expanded by 1.9 percent. Coal mining jobs only saw a 0.25 percent increase, and employment in fossil fuel electric generation decreased by 8.7 percent, losing more than 8,500 jobs. "In Colorado and across the country, we have seen that when the right policies are in place to create long-term market certainty, this industry continues to add jobs to our economy," commented Bill Ritter, the former governor of Colorado and current director of Colorado State University's Center for the New Energy Economy, according to the release from the Solar Foundation. Meanwhile, investors are increasingly turning their attention to sustainable sourcing and renewable power as vital areas for energy investment. According to the Boston Globe, a record-high $10 billion in private and corporate funds were spent on clean energy projects in 2013. A group of major corporations - including Citi, Bank of America, Wells Fargo and Morgan Stanley - has committed to investing $180 billion in these efforts by 2022. The phenomenon appears to be driven by the losses that enterprises stand to incur if they don't respond to climate change. "The costs of another [Hurricane] Sandy will grow from $19 billion to $90 billion," Swiss Re Americas CEO J. Eric Smith remarked at the recent Investor Summit on Climate Risk, according to the news source. Corporations will likely continue to find that investments in clean energy are an integral part of the risk management process.